Steve is an experienced boxing writer and author. He has been writing about boxing for over 12 years and has attended over 150 shows. He has written and published nine books on the sport. He is the host on a boxing podcast called Boxing Asylum. 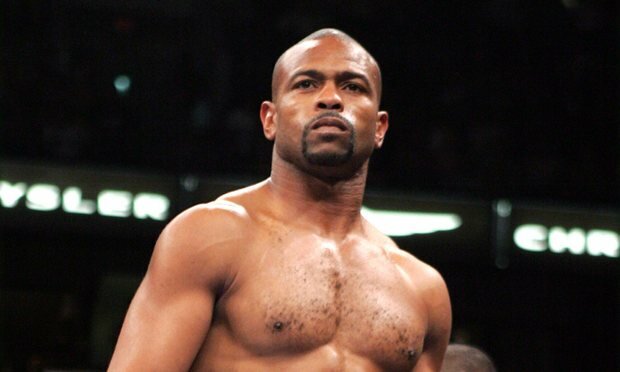 Fight fans have been asking the question for a while now: when will ring legend Roy Jones Jr finally retire? Far removed from his peak and with a rapidly diminishing skill set, Jones has been flirting with hanging up the gloves for a while but just cannot make the leap and put his amazing career to bed. Just days away from his 49th birthday and competing as a pro since 1989 (not to mention a lengthy amateur career before that), Roy has clocked up 74 bouts and all this from a man who once declared that he would never put himself in to a position to suffer the same plight as 1990s contemporary Gerald McClellan. Even a job as a colour analyst/pundit with American TV heavy hitters HBO has not been enough to completely lure Jones into permanent retirement. Indeed, he will box again on February 8 against an opponent to be named shortly. The man who would not leave his Pensacola, Florida base at the height of his career has since found himself boxing in far flung locations and even knocked out former British Olympian-turned gatekeeper pro Courtney Fry in Estonia of all places back in 2014. Boxing in Russia even secured Jones a Russian passport as he tried his hand at fighting and coaching in the country. When former cruiserweight belt holder Enzo Maccarinelli brutally knocked the legend out in 2015 the Welshman looked almost apologetic in the aftermath as a dazed and confused Jones was brought back to consciousness. “I want to still be fighting and be in the coffin throwing punches at people,” Jones recently told BoxingScene. Jones’ demise and unwillingness to let the glory years go was exemplified in his most recent fight against Bobby Gunn when the pair competed for the vacant WBF (Foundation version) cruiserweight title. Roy was even contemplating boxing in Liverpool a few years back on a Malta Boxing Commission card (classed as “unlicensed” in the UK as it is separate from the BBBofC) and he will have been inactive for just under a year when he returns next month. All of this ignominy is a far cry from the man who was virtually untouchable in his peak when dominating the likes of Bernard Hopkins and James Toney, moving up to heavyweight to outbox title holder John Ruiz or unify multiple titles at light-heavyweight against the likes of Antonio Tarver. Back in 2002 when defending no less than six of his titles against Aussie Glen Kelly in Miami, Jones Jnr put his hands behind his back, lay against the ropes and goaded his opponent inside. Kelly obliged and Jones whipped a fight-ending hook with pinpoint accuracy to knock out his hapless foe and send the Florida crowd in to raptures. Overmatched Kelly was perceived to be the joke in that scenario. As he closes in on his 50th year, Roy needs to be careful that he doesn’t become the next punchline, some 16 years later. Is The Gypsy King about to reclaim his crowns?